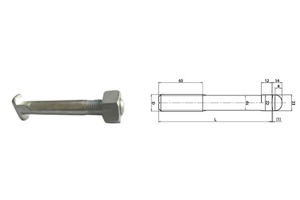 Track bolts, also called fang bolts or rail anchor bolts, are used to fix steel rails and rail chairs to rail ties, or to fasten rail joints to link rails. 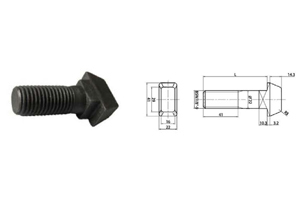 The track bolt is a bolt inserted through a hole in rail tie with a fanged nut that embeds into the lower surface of the tie. 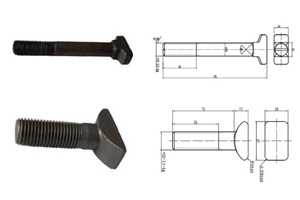 In general, the size of track bolts varies from requirements of the rail sections. 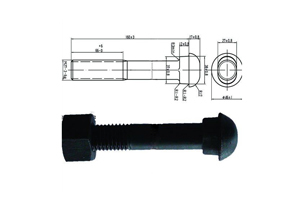 The proper diameter and length of the track bolt can be determined by checking the applicable railway standards. 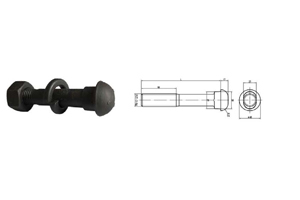 Track bolts can be divided into several types, such as, button head oval neck track bolt, diamond neck track bolt, rail bolt NF F50-008, fish bolt, Russian standard track bolts, clip bolt, clamp bolt and inserted bolt for Russia, , anchor bolt, T-bolt clamp and other special bolts, etc. For fastening flat-bottomed rails, an upper-lipped washer can be used to grip the edge of the rail. They are more resistant to loosening by vibrations and movement of steel rails. In actual use, they are more effective than track spikes and screws and so are used in positions such as switch (point) tie plates and on sharp curves. Russian standard, AREMA standard, etc. 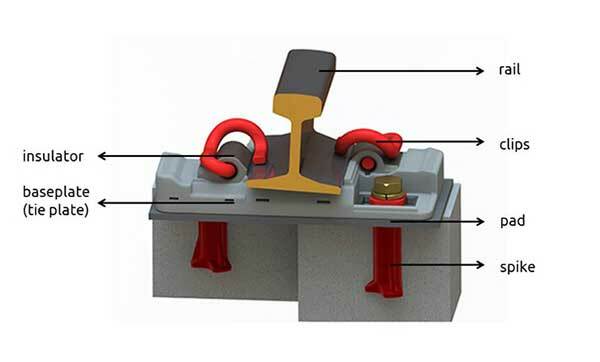 rail clamps together with nuts and washers. 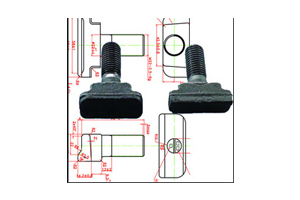 Two types of clip bolts are available: with square neck or without neck. Standard: UIC, GB, BS, DIN and GOST or ISO, etc. M22 X 66 40Kg rail, M22 X 80 48Kg rail, etc. 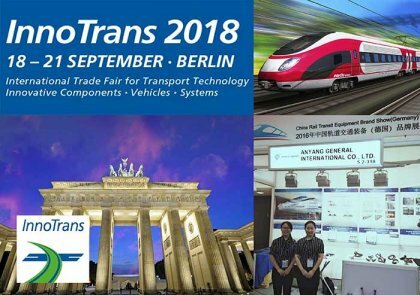 rail fastenings or for crane rail fastening systems. 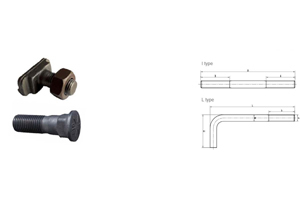 Type :available by customers drawings and samples . spear bolts with special pitches, etc. 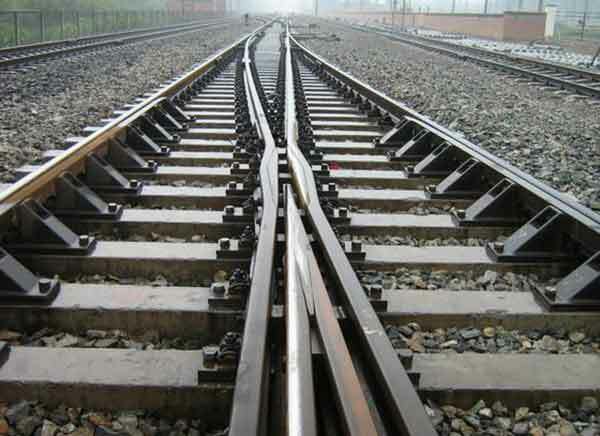 According to the standards of steel rails, each rail joint needs to be bolted with at least two bolts in each rail tightened to approximately 400 foot-pounds of torque which develops between 25,000, and 30, 000 pounds of tension in track bolts. Track bolts in use have to be in the proper size and tightly in place. 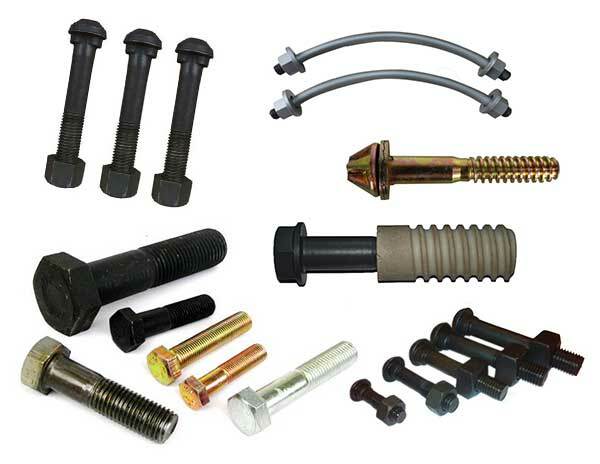 Track bolts have to be installed with AREMA spring washers whereas the nuts have to be installed against the spring washer. 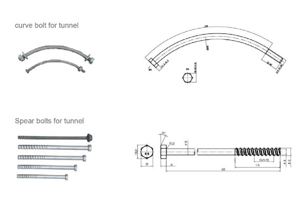 Track bolts have to be installed and the nuts have to install alternately on the inside and outside of the rail track. 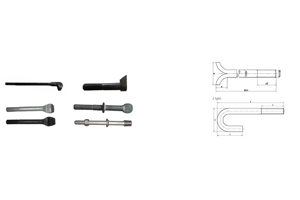 When track bolts and joint bars are moved away, the joint area of the rail and the contact surface of the joint bar have to be cleaned and the joint bar and the bolt threads have to be lubricated.